The rescheduled Joan Osborne concert will take place on Saturday, April 20, 2019 at the Henry Strater Theatre. 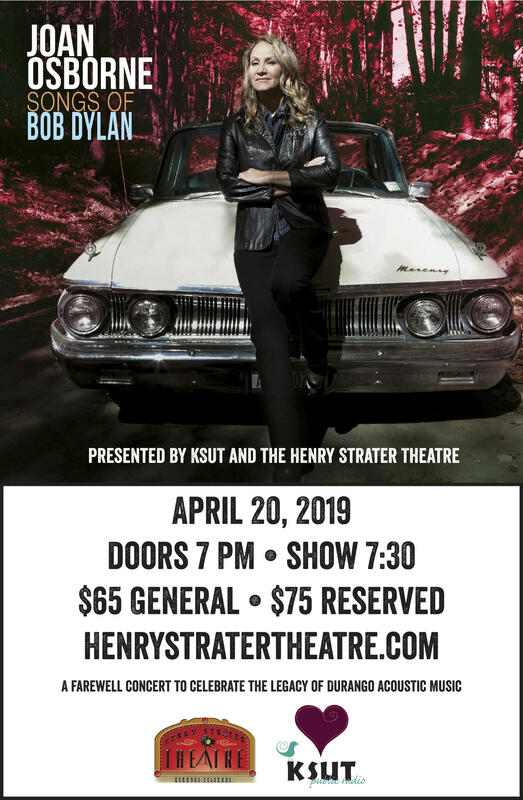 Join KSUT, the Henry Strater Theatre and Durango Acoustic Music (DAM), in celebration of DAM's final concert and their 28 years of presenting live music in the Four Corners. Tickets are available at henrystratertheatre.com.